A new Iwata Asks series has been posted on the Nintendo website, this time with the Monolith Soft developers and speaking about their series, Xenoblade Chronicles. Of course the team has been hard at work on Xenoblade Chronicles X for the Wii U, but for those interested who may have missed the first game in the series on Wii, Xenoblade Chronicles 3D will be released on New Nintendo 3DS on April 10. Iwata sat down with the developers to discuss the series. One of the main motivations for making the Xenoblade series is the perceived failure of the Xenosaga series. According to the developers, that series was not received very well among fans, which led many in the team to want to create something that fans would love. Also, Xenoblade was very much the result of the team wanting to redeem themselves after their perceived failure on the Xenosaga series. Xenoblade was their attempt at righting all of the wrongs after the team had received several more years of experience in the industry. That’s right. We released three games in the Xenosaga series, but they weren’t very well received. It was really mortifying. All of the young team members felt that way, not just the leaders. So we all decided, “Next time we need to make a game that players will enjoy.” So that made the atmosphere during the Xenoblade Chronicles development very different compared to other games. 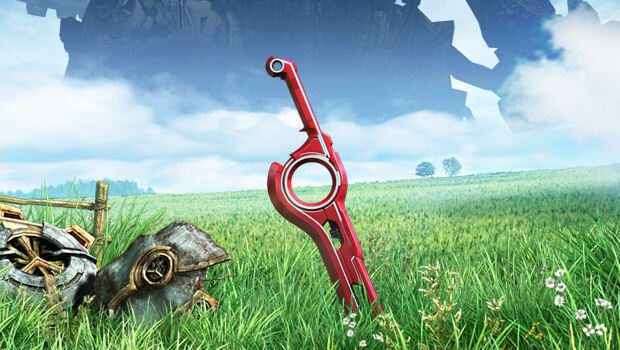 Xenoblade Chronicles producer Tetsuya Takahashi also stated that his team at Monolith Soft wanted to create the ultimate JRPG series when they set out to create the original game. According to him, the design principle between the first game and the second hasn’t changed, and the ultimate JRPG has a balance between story and gameplay with neither side leading the production of the game too much. To give a brief outline of the structure of JRPG, first you have the story as the y-axis, and the game system and game play as the x-axis, and it’s really important to keep those two things balanced. The full interview is a rather interesting read, as Takahashi details how Monolith Soft came to be as a company, as well as the influences in their design from his time working on the Final Fantasy series at SquareSoft, before it was turned into Square Enix through a merger. Takahashi’s experience with the Final Fantasy series and the perceived failure of the Xenosaga series has led to the creation of Xenoblade Chronicles, one of the better JRPGs released in the past few years. While there’s very little conversation about Xenoblade Chronicles X, it’s safe to say that Takahashi’s design principles have carried over to the development of it as well. Perhaps Iwata will do another sit down with him around the time that Xenoblade Chronicles X goes on sale in Japan.